The one and a half day workshop will be held in Adelaide, Australia. The workshop will bring together Australasian and American researchers working in the area of e-learning in engineering education. This workshop aims to foster international research collaborations between participants and promote the development of an international community of scholars. This workshop is funded by the US National Science Foundation (Award #0810990), as part of on-going research and organized in affiliation with the International Network for Engineering Studies (INES). Dr Euan Lindsay is a Mechatronic engineer, a discipline that integrates computers, electronics and physical hardware. Dr Lindsay's PhD investigated whether remote and simulated access alternatives to the traditional in-person laboratory experience could provide the same learning outcomes for students. Dr Lindsay's work in Remote and Virtual laboratory classes has shown that there are significant differences not only in students' learning outcomes but also in their perceptions of these outcomes, when they are exposed to the different access modes. These differences have powerful implications for the design of remote and virtual laboratory classes in the future, and also provide an opportunity to match alternative access modes to the intended learning outcomes that they enhance. Dr Lindsay is a Senior Lecturer and the Discipline Leader for Mechatronic Engineering at Curtin University of Technology, in Perth, Western Australia. His research interests include engineering education, telecontrol (particularly internet-based telecontrol), artificial neural networks, and rehabilitative technologies for people with sensing impairments. Dr Lindsay is the Vice President of the Australasian Association for Engineering Education, and co-edits the Australasian Journal of Engineering Education. 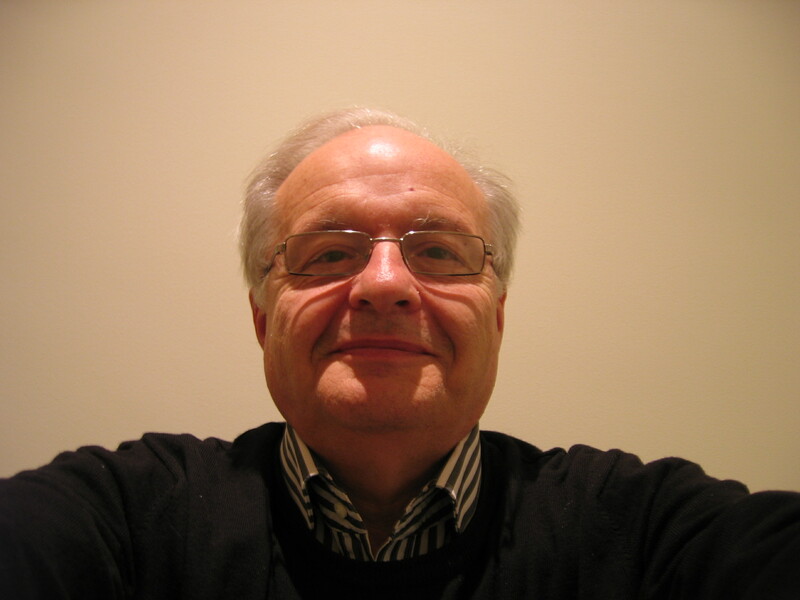 Dr Lindsay was the recipient of a 2007 Carrick Award for Australian University Teaching. In 2005 he was named as one of the 30 Most Inspirational Young Engineers in Australia. Dr. Holger Maier is Professor of Integrated Water Systems Engineering in the School of Civil, Environmental & Mining Engineering at the University of Adelaide. He has a PhD in Environmental Engineering from the University of Adelaide and has worked as a consultant in the private and public sectors in Australia and overseas and as a Research Fellow at the University of British Columbia. He teaches in water and environmental engineering and is the co-developer of the multi-award winning Mekong e-Sim. His research interests in engineering education include online roleplay-simulations and active learning methods He has in excess of 150 refereed publications and has received a number of prestigious national and international teaching and research awards. Maura Borrego is an Assistant Professor and Director of the Graduate Program in the Department of Engineering Education at Virginia Tech. She holds U.S. NSF CAREER and Presidential Early Career Award for Scientists and Engineers (PECASE) awards for her engineering education research. She is involved in this meeting as PI on the NSF grant, Expanding Global Engineering Education Research Collaboration. Her research interests include research and scholarship communities in engineering education and interdisciplinary graduate education. She teaches graduate level courses in engineering education research methods and assessment. All of Dr. Borrego’s degrees are in Materials Science and Engineering, M.S. and Ph.D. from Stanford University, and B.S. from University of Wisconsin-Madison. 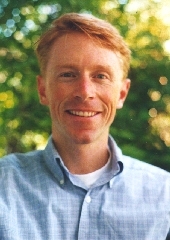 Dr. Brent Jesiek is an Assistant Professsor of Engineering Educatio at Purdue. He holds a B.S. in electrical engineering from Michigan Tech and M.S. and Ph.D. degrees in science and technology studies from Virginia Tech. Before joining Purdue, he was an instructor and postdoctoral researcher in Virginia Tech's Department of Science and Technology in Society. He was also manager of the school's Center for Digital Discourse and Culture. 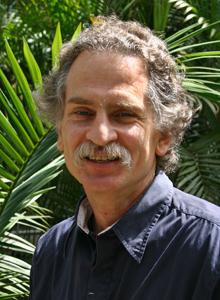 Dr. Jesiek's research interests are focused on the epistemological, social, and historical dimensions of engineering and computing, with particular emphasis on subjects related to engineering education, computer engineering, and educational technology. He is also active in the areas of global engineering education and open-source software and hardware. Kacey Beddoes is a Ph.D. student in Science and Technology Studies at Virginia Tech. 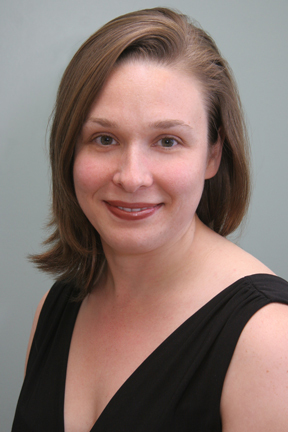 Her current research interests are interdisciplinary studies of gender and engineering education. She serves as Assistant Editor of Engineering Studies. The Workshop begins at dinner on the 9th. The dinner will be held at the Stag Hotel, which is a 5-10 minute walk from the University. The address is 299 Rundle Street. 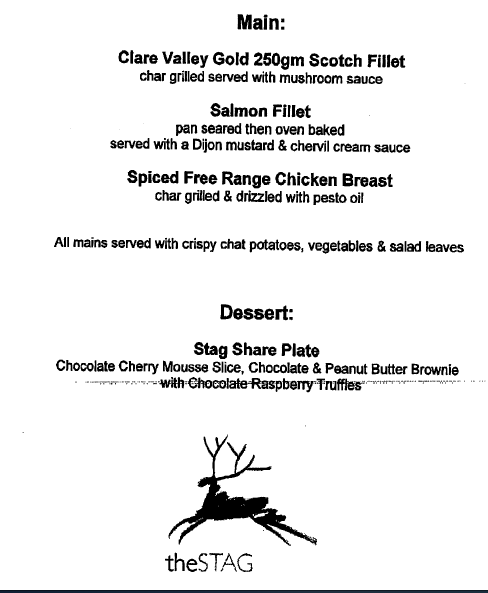 The menu is below, and in addition to these dishes, there will also be a vegetarian option. On December 10th will meet in Room LG14 in the Lower Napier Building at the North Terrace Campus of the University of Adelaide. Venkata Chivukula is a third year Ph.D. candidate in Electrical Engineering at RPI under supervision of Professor Michael Shur. His research focuses on distance learning and remote experimentation, microelectromechnical, surface acoustic wave devices, and microsensors. He holds a B.E and M.S. in Electrical Engineering from Nagpur University, India and Louisiana Tech respectively. Mr. Chivukula has over 15 journal publications and conference proceedings. 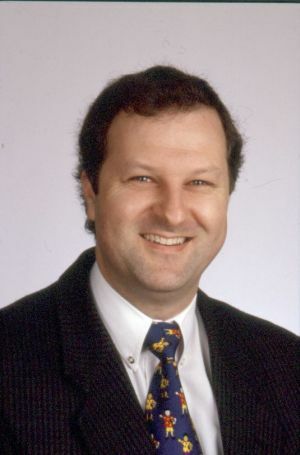 A number of awards and scholarships’ recognized his accomplishments: Best Student paper finalist at International Ultrasonics symposium Rome, Italy (2009), Graduate Teaching & Research Scholarships from RPI (2006) and LATECH (2004), Merit award for top undergraduate student (1997, 1998, and 1999). He is serving as secretary for Workshop on Frontiers in Electronics (WOFE’09), GOLD representative for IEEE sensors council and executive member of student leadership council for NSF Smart Lighting ERC. He is the member of ASEE, IEEE EDS and UFFC societies. 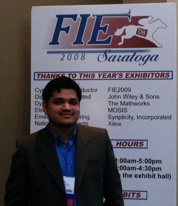 He was also a reviewer for 2009 ASEE conference. Professor with joint appointment in education and mathematics at Pepperdine University. He came to Pepperdine from the US Air Force Academy, where he served as Director of the Center for Research on Learning and Teaching and as mathematics and computer science professor. Prior to that he was at the US National Science Foundation where he served as both a Program Director and Division Director. He has also held Visiting Professorships at Edge Hill University in the UK and Hiroshima University in Japan. Hamilton currently oversees research on learning technology platforms that integrate artificial agents, collaborative networks, tablet computers and interactive digital media, and has organized international Distributed Learning and Collaboration (DLAC) symposia with co-chairs in Shanghai, Singapore, Kampala, and Tubingen. His theory-building work focuses on models and modeling in engineering education, personalized learning communities and teacher creativity. Prior to coming to the National Science Foundation, he led a major urban systemic initiative in mathematics and science education reform in Chicago, and an award-winning consortium devoted to elevating the participation of underrepresented minorities in science, mathematics and engineering professions. Jennifer C. Richardson is an Associate Professor in the College of Education at Purdue University in the Department of Curriculum & Instruction. Her research agenda focuses on technology integration and distance education, in particular online learning environments. Specific areas of research include measuring learning in online environments and the impacts of social presence and interactions on students' perceptions and learning. Her recent work has focused on the Community of Inquiry (CoI) model for developing online education experiences. The CoI is based on three elements: social presence, teaching presence and cognitive presence. In her efforts she has teamed with an inter-university group of research leaders of the three elements to develop and validate an instrument to measure CoI, which was initially aimed at evaluatory purposes but has since evolved into a reverse framework for faculty workshops and course development. She also has recently worked on developing a model for mentoring graduate students to teach at a distance, a skill that is highly sought after but rarely addressed prior to graduation. Dr. Kathy J. Schmidt is the Director of the Faculty Innovation Center for the Cockrell School of Engineering at The University of Texas at Austin. In this position, she promotes the School’s commitment to enriching teaching and learning. Dr. Schmidt works in all aspects of education including instructional design and development, faculty training, distance education, learner support, and evaluation. 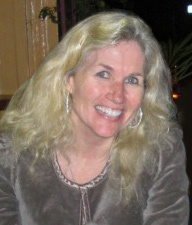 In addition to traditional teaching experience, she began teaching online in 1999. She is currently teaching a freshman course on critical thinking. Dr. Schmidt has over 20 years experience in designing technology-based education in higher education, K-12, the military, and the private sector and publishes in the areas of engineering education, technology-based instruction, and faculty development. Besides a bachelor’s degree from UT Austin, she holds a master's degree in Educational Communications and Technology from the University of Hawaii and a doctoral degree in Curriculum and Instruction from UT Austin. David L. Silverstein is the PJC Engineering Professor and Associate Professor of Chemical and Materials Engineering at the University of Kentucky College of Engineering Extended Campus Programs in Paducah. He received his B.S.Ch.E. from the University of Alabama in Tuscaloosa, Alabama; his M.S. and Ph.D in Chemical Engineering from Vanderbilt University in Nashville, Tennessee; and has been a registered P.E. since 2002. Silverstein is the 2004 recipient of the William H. Corcoran Award for the most outstanding paper published in Chemical Engineering Education during 2003, and the 2007 recipient of the Raymond W. Fahien Award for Outstanding Teaching Effectiveness and Educational Scholarship. His current research focuses on use of emerging technologies for collaboration in problem solving, establishing an electronic framework for development and dissemination of concept inventories, and faculty training for course‐specific effective and efficient instruction. 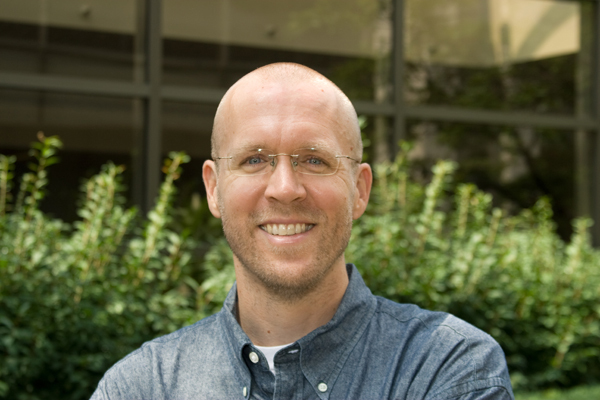 Ross Strader is Research Programming Director for the Open Learning Initiative at Carnegie Mellon University. He received a B.S. in engineering from the University of Texas at Austin (1996) and an M.S. in engineering from Carnegie Mellon University (1998). As a graduate student, Ross developed and taught a new course in Introductory Environmental Engineering, for which he won the Carnegie Mellon Graduate Student Teaching Award. 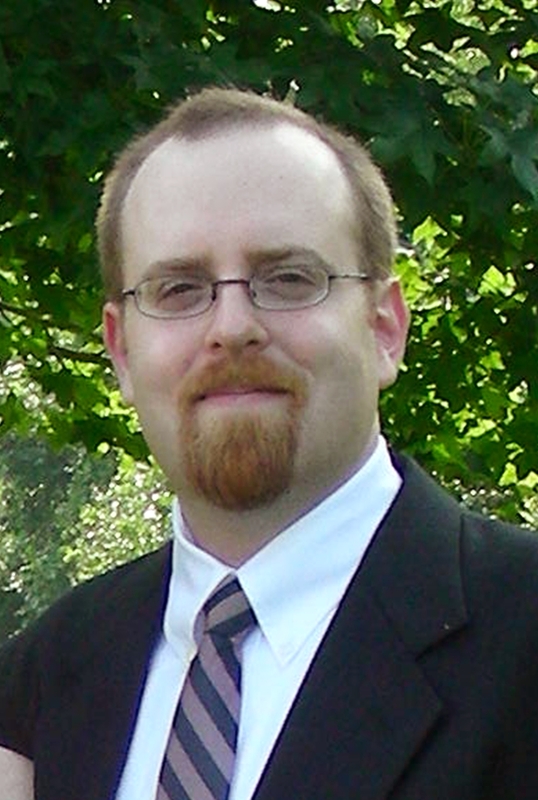 Since 2002, he has worked on the Open Learning Initiative (OLI) project at Carnegie Mellon. OLI combines learning theory and practice to create scientifically based online learning environments, including a course in Engineering Statics. Ross' primary focus is guiding content authors in the creation of new courses, as well as developing software tools to assist them in this process. George Banky is a Lecturer in the Faculty of Engineering and Industrial Sciences at Swinburne University of Technology. He has a BE (Elec) and a MEngSc from the University of Melbourne, as well as a GradDipCompStud from RMIT and a GradCertT&L in HE from Napier University/Swinburne University of Technology. For the past 10 years he has actively researched the application of electrical circuit simulation software to the teaching of electronic circuit theorems to undergraduate campus-based students. He is currently completing his PhD Thesis (titled “Teleteaching with ‘telekikan-shido’: An exploration of how online synchronous supervision of student problem-solving mimics face-to-face pedagogy”) at the Centre for the Study of Higher Education, University of Melbourne. His aim is to combine both research interests, namely pedagogy using simulation software and online synchronous supervision of experiential learning, in order to investigate the resultant outcomes for their potential application to e-learning in engineering education. Rosemary L. Chang is Academic Development Advisor to the Faculty of Engineering and Industrial Sciences at Swinburne University in Melbourne, Australia. She has also worked in academic development in Engineering at University of Melbourne and RMIT University in Melbourne. From 2002 to 2006, she managed a scheme in which approximately 120 science, engineering and technology academic staff completed over 35 action research projects including educational technology innovation projects. More recently, as part of the Research Group in the Biomedical Multimedia Unit at The University of Melbourne, she contributed to the Educating the Net Generation project— a national investigation that tested Prensky’s notion of “digital natives” and implications for higher education. She brings a cross-disciplinary perspective to engineering education, holding a BA(Hons), GradDipEd in Tertiary Education and Master of Education; and is currently scoping a PhD. In 2004, she led a team which received a university award for the enhancement of quality teaching and learning. Dr. Mark Jaksa is an Associate Professor in the School of Civil, Environmental and Mining Engineering at the University of Adelaide, Australia. His expertise is in geotechnical engineering. He has developed a number of computer assisted learning modules, which are used internationally, and he has written about methods to enhance student engagement in geotechnical engineering. He has received a number of national, university and faculty teaching awards. Dr. Jaksa has a passion for teaching and student learning and, in October 2009, will deliver the state-of-the-art lecture on geotechnical engineering education at the 17th International Conference on Soil Mechanics and Geotechnical Engineering in Alexandria, Egypt. 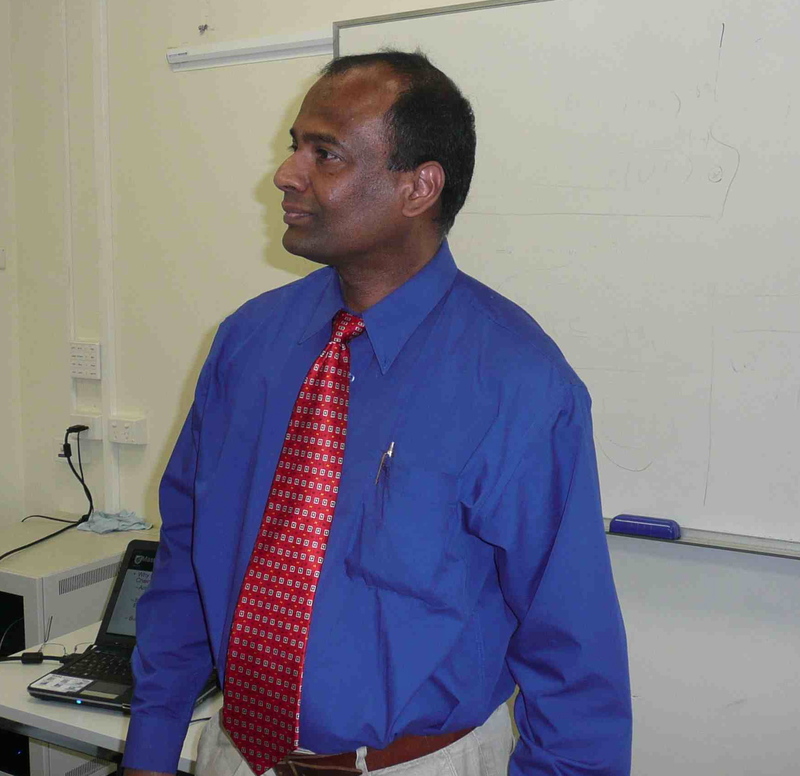 Dr Sev Nagalingam is a Program Director and an active Researcher at the School of Advanced Manufacturing and Mechanical Engineering, University of South Australia. In 1999, he obtained his PhD from the University of South Australia and proposed a novel way of justifying investments in advanced manufacturing technologies. 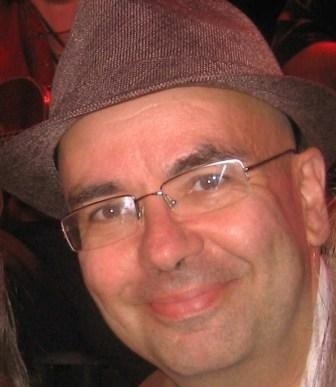 His research interests are: Collaborative Manufacturing, Distributed Manufacturing Systems, Manufacturing Management, Integration of Manufacturing and Management Systems, Sustainable Supply Chain, Decision Support Systems, Productivity Improvement, Knowledge management for Supply Chain, Innovation and Problem solving in industrial applications, Maintenance approaches of SMEs and diagnostic studies. He is currently exploring e-learning activities that can be incorporated in his teaching and program he lead. He has published more than 50 peer reviewed international research papers, a book on CIM, two book chapters, and a booklet to date and has received a number of competitive grants. He was a guest editor for two special issues of the International Journal of Robotic and Computer Integrated Manufacturing (2003 and 2007), and for International Journal of Computer Integrated Manufacturing (June 2007). Willy Sher is currently Assistant Dean (Teaching and Learning) in the Faculty of Engineering and Built Environment at the University of Newcastle, Australia. He came to Newcastle from Loughborough University, UK, where he was Course Director of the fully sponsored Construction Engineering Management degree. Whilst at Loughborough University, he managed several externally funded research projects including RAPID, RAPID2K, Best Practice in Building Education and CAL-Visual. He worked at the University of the Witwatersrand (South Africa) in the Department of Building and Quantity Surveying prior to this. Before becoming an academic he worked as a construction-computing consultant, an estimator, a planner and as a site agent. He completed his post graduate research at Loughborough University, and his undergraduate degree at the University of the Witwatersrand, South Africa.